We don’t see Harold’s face clearly until it hangs limply from a noose, chalky white with a thin, viscous strand of saliva clinging to the corner of his mouth. Harold and Maude, playing at this week’s Leonard Oakland Film Festival, wants you to think it is a film about death, just so it can surprise you with how it is so deeply and irrepressibly about life. The long-time Whitworth literature professor and film-festival namesake spends most of the film slumped into a couch, the way an undergrad might. His mouth sits slightly agape, getting a head start on a smile or a sharp exhale of astonishment. Oakland reacts most to the things he’s forgotten. During the opening scene, Harold’s fake suicide is orchestrated to a gently twinkling folk-rock track. Oakland says “I forgot Cat Stevens did this!” Harold is a death-obsessed 20-year-old. Maude is a life-intoxicated 79-year-old. They meet at one of the many funerals Harold comes to wallow in. Maude, who steals cars and transplants trees and creates smell-machines, teaches Harold how to live exuberantly. “She eats organic!” Oakland exclaims. “This is the early ‘70s!” Harold’s Mother thinks he needs structure. She sends him to his Army-general uncle, a priest and a psychotherapist. They are all, to a greater or lesser extent, buffoons. Harold tells Maude, “I haven’t lived. I’ve died a few times.” He means that he has spent his life under the thumb of his parents, a death of self that won’t be alleviated by pursuing the military, psychoanalysis or the church, which all have their own parental figures lording over them (Nixon, Freud, the Pope, respectively). Maude is different. She does what she wants without ever telling Harold what he should want. She becomes not a mentor, but a liberator. Oakland says he remembers that, when the idea of “the establishment” emerged around this time, it was “a term to be mocked.” Harold and Maude is a full-throttle mockery. Maude is not a character who dwells on the whys of life, though, and the vagueness that troubles Oakland is probably why the film has endured. It wasn’t initially well received by critics, but it quickly became the subject of scholarly study and stayed in art house theaters for more than three years. Gradually (and perhaps retroactively), the film became a symbol of the era. The film is a worldview masquerading as a narrative. Cat Stevens, on the soundtrack, sings “love is better than a song,” and that’s pretty close to the film’s central thesis. Living is better than talking about living, and living for oneself is better than living for the reactions of others, or toward their goals. The result is a film framed by darkness, but not caged by it. The early ’70s were a bleak time. 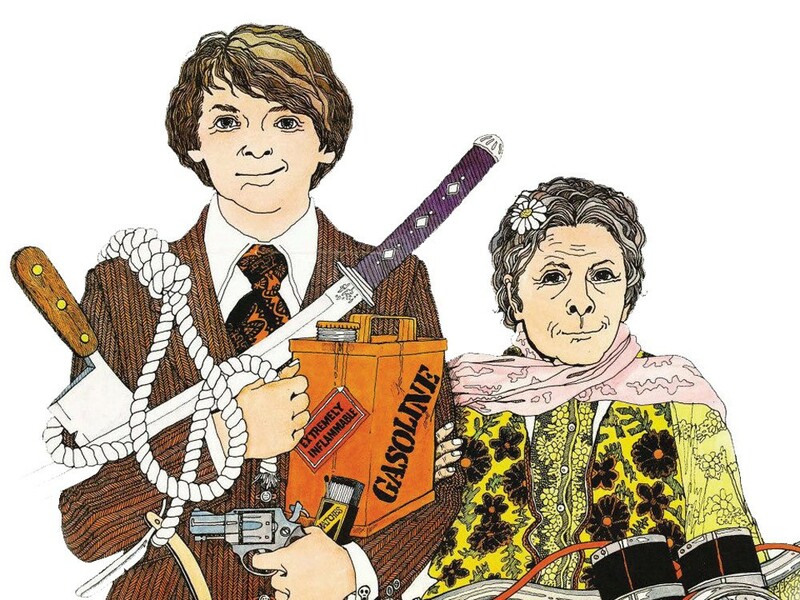 In trying to imagine what light might come from the blackness surrounding the Vietnam War, Harold and Maude tries to imagine a way it could end well for those who remained. And while earnestness and cynicism cycle in and out of artistic favor, conjuring this kind of hope from that sort of despair is not the kind of imaginative act that ever goes out of fashion.